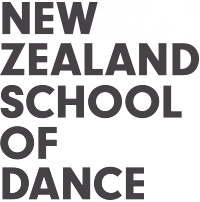 New Zealand School of Dance students use the medical services of neighbouring Massey University. Massey Student Health and Counselling Centre offers high quality holistic health care. The Centre is staffed by doctors and nurses, counsellors, a physiotherapist and a nutritionist. It offers a general practice service, including ACC (Accident Compensation Corporation), sexual health and family planning consultations. The Student Counselling Service offers a confidential, professional service dealing with issues such as relationships, self esteem, grief, anger management, sexuality and abuse. They offer a private, free and confidential service. All counsellors are members of a professional body and follow an appropriate code of ethics. The NZSD student services levy pays for this service. Although healthcare is subsidised some extra charges may apply.